Part 1: Can These Islands Survive America’s Military Pivot To Asia? 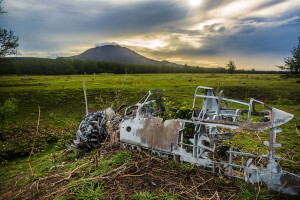 The Mariana Islands are still littered with dangerous debris left over from World War II but now, with an eye toward China, the U.S. wants to vastly increase its military presence there. 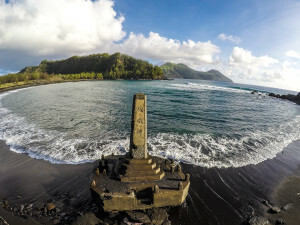 Pagan residents made it through Spanish colonization, Japanese occupation, World War II and a volcanic eruption. Now many just want to go home again. Most of Tinian is already under lease to the military. 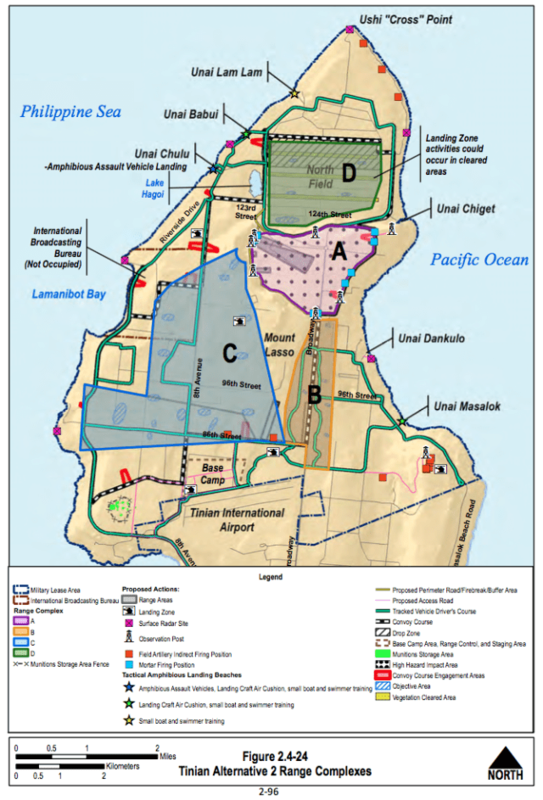 But residents who were expecting a base may now get multiple live-fire ranges that could destroy the island’s environment and devastate its tourism economy. The military buildup is expected to help Guam’s economy. But will it make the island a target as well? A Navy plan to bomb Pagan and put a destructive artillery range on Tinian overlooks many potential impacts and suggests little to make up for the destruction. 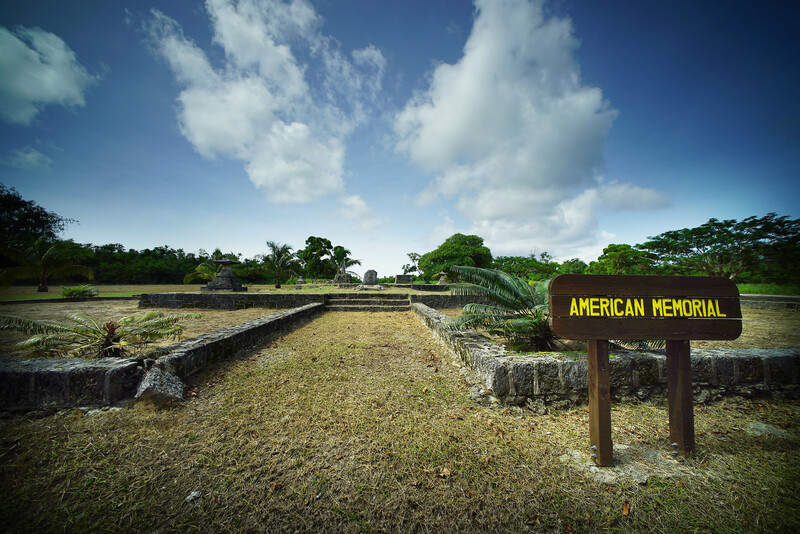 TINIAN, Northern Mariana Islands — The mid-afternoon sun is oppressive as Don Farrell walks toward the aging monument. The cluster of statues looks like it belongs in Japan, rather than Tinian, a small island in the Western Pacific north of Guam in the Mariana Islands. But the American Memorial was actually built by Navy Seabees in 1945 after Japan surrendered, Farrell explains. 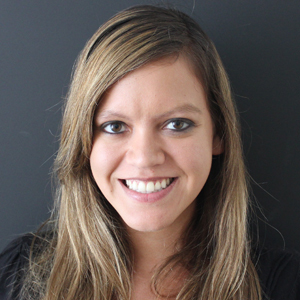 The historian and educator is an expert on Tinian, once a key battle site during World War II and now a U.S. territory. The years haven’t been kind to the monument. Termites ate the traditional wooden Japanese gate known as a torii that used to stand in its center, and someone stole its brass plaque, Farrell says. Navy Seabees used the remnants of Shinto shrines to make this memorial in 1945 after Japan surrendered. Still, much like the rest of Tinian, the memorial holds a quiet significance. It’s down the road from North Field, an old airfield that was built during World War II and was once the busiest airfield in the world. That’s where the Enola Gay took off to drop the atomic bomb on Hiroshima, changing the course of world history. Farrell believes the American Memorial was the first peace monument built after Japan surrendered the war. But despite its historic value, “This will be destroyed,” Farrell says matter-of-factly. 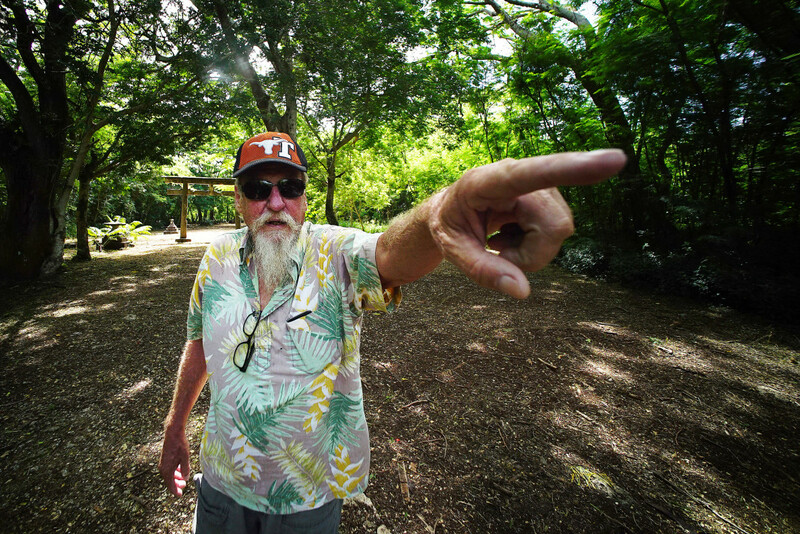 Historian Don Farrell explains how a planned artillery range will obliterate cultural sites, including a Japanese shrine in the background built in the 1930s. 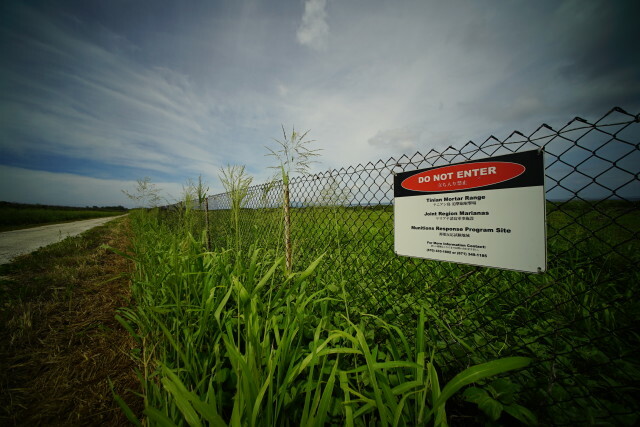 The U.S. military, which already leases the northern two-thirds of Tinian, is planning to turn part of it into an artillery range, and the memorial is within the high-hazard impact zone. 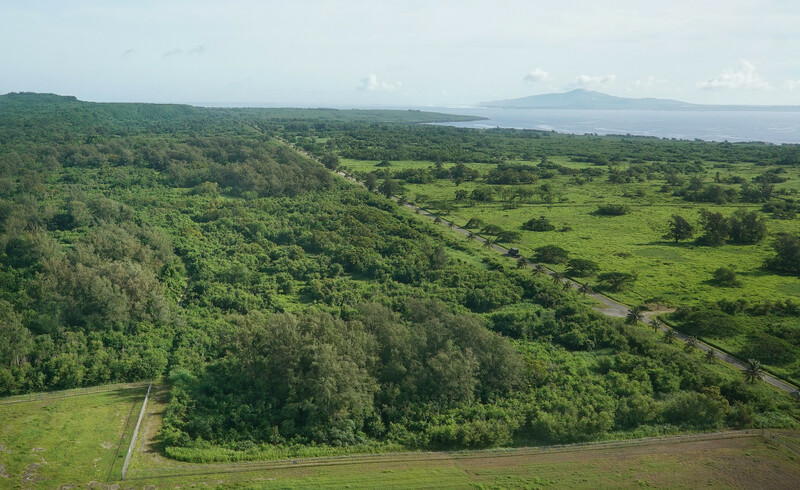 The artillery range is just one of several live-fire training ranges the Navy is proposing that are expected to destroy coral reefs, obliterate forests that are home to rare birds, damage cultural sites and create big craters in the ground. The U.S. Environmental Protection Agency says the Navy risks contaminating the island’s aquifer, its only source of groundwater. 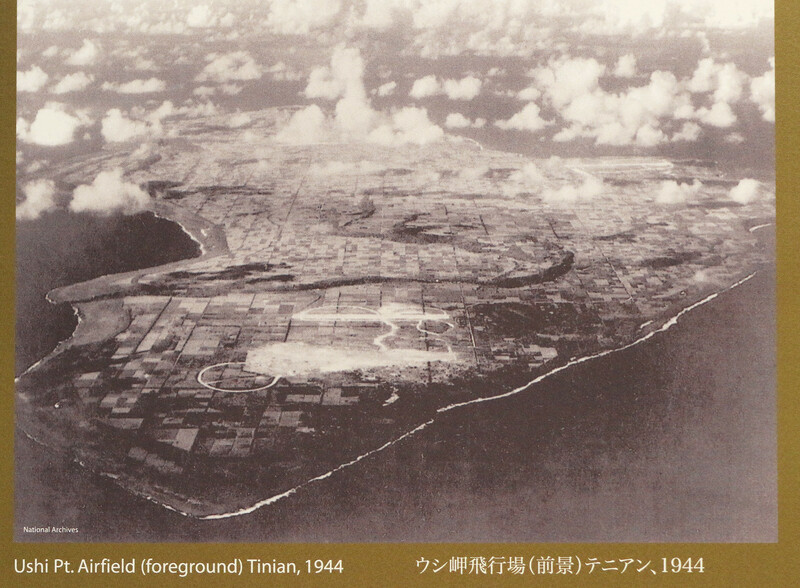 In 1944, North Field — previously known as Ushi Point — was the busiest in the world. The Navy’s proposal is the latest in a string of military proposals to extend or increase training on Tinian, on Pagan and on Guam. Craig Whelden, the executive director of the U.S. Marine Corps Forces, Pacific, says more training ranges are needed for about 5,000 Marines who are moving to Guam from Okinawa. The move is in response to years of protests from Okinawan residents against the military’s presence. 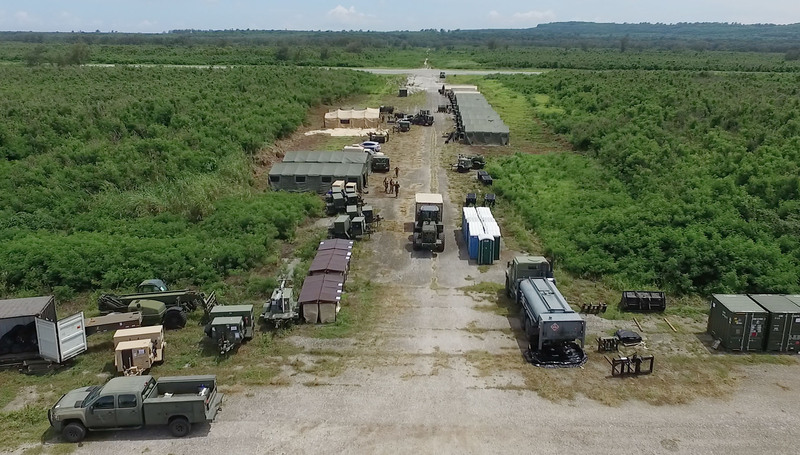 The military has long been conducting low-impact training on Tinian, where its 50-year lease isn’t up until 2033. 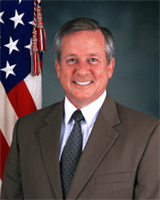 The military also has the option to unilaterally extend its lease until 2083. “It’s a perfect place for us to conduct training,” Whelden says. Currently, the military trains on Tinian for only a few weeks each year, practicing ground and air operations with live-fire practice limited to snipers firing into bullet traps. But proposals to ramp up the training have been in the works for years, buoyed by the military’s stated focus on the Asia-Pacific. In 2010, the Marine Corps proposed allowing groups of 200 Marines to conduct war games on Tinian. 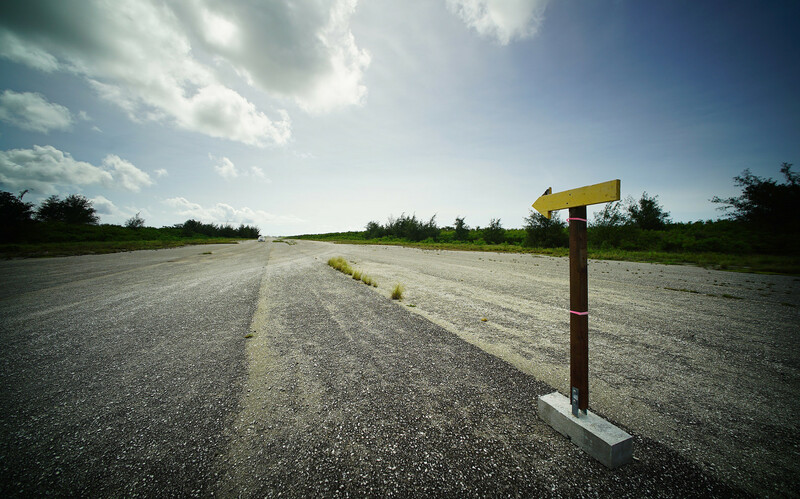 The Air Force received approval this year to build an airfield next to Tinian’s tiny airport that could serve as an alternative if anything should happen to Guam’s Anderson Air Force Base. But the Navy’s plan, the most ambitious, calls for multiple practice areas on Tinian where Marines can launch grenades, shoot rockets, drive tanks and train platoons for 20 weeks each year. The Navy has also considered extending training up to 45 weeks per year but Whelden says that would be years away and require more environmental review. Tufts of grass stick through Runway Able on Tinian, where the Enola Gay took off and dropped an atomic bomb on Hiroshima. The plan would generate 95 jobs on the island, and Whelden says it could involve around $1 billion of investment in infrastructure upgrades. But the U.S. Environmental Protection Agency questions whether the plans risk contaminating the island’s aquifer and overtaxing the municipal water system that serves the island’s 3,100 residents. TINIAN VIDEO V3 from Honolulu Civil Beat Inc on Vimeo. Planned amphibious assault practice would also destroy 10 acres of coral reef and harm 10 more, an impact that the EPA called “substantial and unprecedented in recent years.” The reef lies off of Unai Chulu, a sandy beach where tourists and residents often fish and swim. Here’s where the Navy wants to train on Tinian. The pink dotted area is where service members would fire grenades, mortars and other explosives. The beach is where American forces invaded Tinian during World War II. 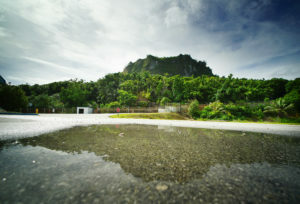 But it was historic before then as the site of a 15th century Chamorro settlement. The training would remove more than 900 acres of conservation land, likely harming thousands of birds. Turtles might avoid nesting on affected beaches, discouraged by construction and the noise of bombs. 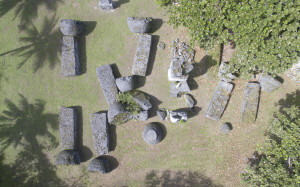 An analysis by the National Park Service slammed the military for ignoring relevant research in its assessment of the potential impacts of training on historic sites, including North Field, a National Historic Landmark; a Japanese shrine dating back to 1937; and indigenous latte stones, which were built by Chamorro people hundreds of years ago. The Navy has agreed to conduct another analysis of the impacts to coral, water, transportation and the community, as well as suggest two new training options. Whelden says the Navy will be looking to avoid or minimize impacts, and is considering relocating the peace memorial and Japanese shrine. Military training already occurs on Tinian but it’s low-impact and doesn’t generally prevent residents from visiting beaches or historic sites on military lease land. A revised environmental analysis is slated to be published in spring 2017, with a final decision coming in the summer of 2018. But in the meantime, ranchers are worried about how their cattle will react to the explosions and the expected loss of agricultural land. Tour guides and shop owners question whether fewer people will visit Tinian if they can’t access historic sites and are greeted with the sounds of bullets. The training is expected to destroy nearly 200 sites that are eligible for the National Register for Historic Places. Tinian residents are used to military training occurring occasionally, and many have family members who are veterans. Munitions left over from the war still litter the island. The military doesn’t have a legal obligation to clean it up but responds to emergency calls. The military still hasn’t cleaned up Chiget Mortar Range on Tinian, a former training area that’s littered with dangerous unexploded ordnance. Reminders of war are everywhere. The island’s tiny airport displays four photos of late war veterans from Tinian for visitors to see as they exit the building. “A Grateful Island Remembers our Fallen Heroes,” a black sign proclaims, along with images of the U.S. and commonwealth’s flags. Outside the airport is a World War II cannon. 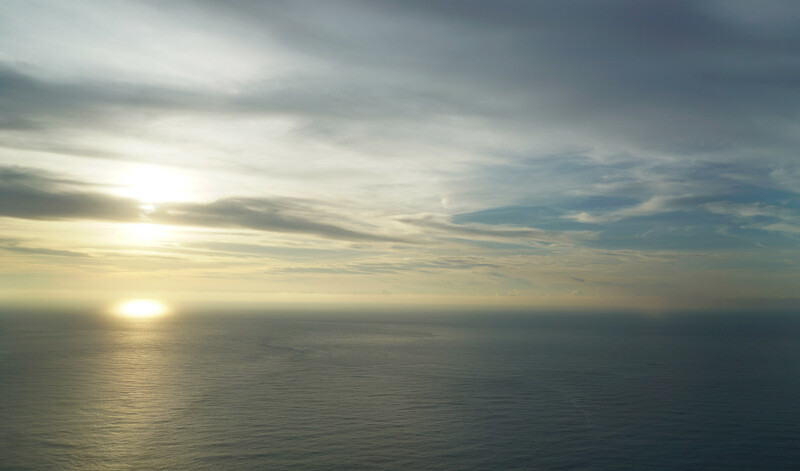 Tourists often visit Runway Able, where the Enola Gay took off, or drive south to see Suicide Cliff, where thousands of Japanese jumped to their deaths during the American invasion. Back in the 1970s, local residents thought the military was planning to build a base on the northern part of the island. Deborah Fleming, who owns a local hotel, was a kid when her father and other Tinian residents were debating whether to lease land to the military for that purpose. 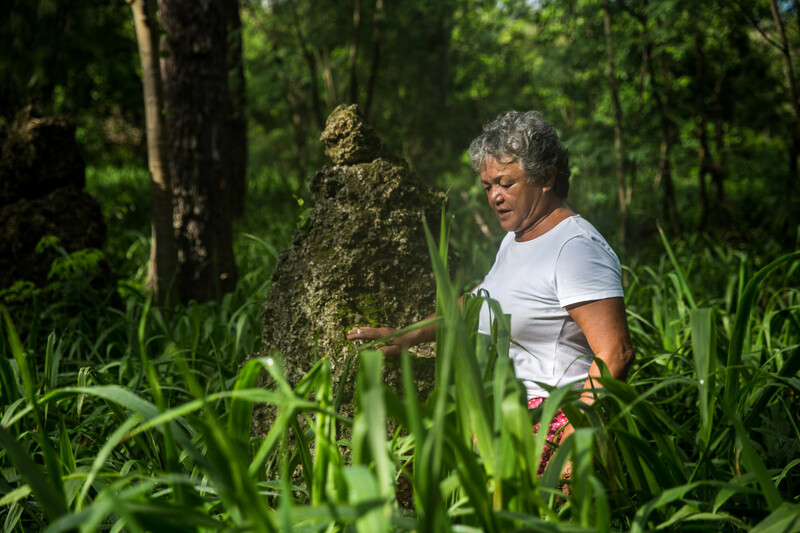 Deborah Fleming, a hotel owner and plaintiff in a lawsuit against the Navy, walks by latte stones on a beach on Tinian where the Navy plans to train. She has even joined a lawsuit against the Navy to stop the training. She feels betrayed. David Mendiola Cing was a teenager when the land lease was being debated in the 1970s. He wanted the Northern Mariana Islands to join the U.S., but was worried that the tiny island, which is less than 40 square miles, was giving up too much land for too long and wasn’t getting enough in return. Cing remembers standing by the airport, waving signs protesting the deal as the American ambassador and representatives from Saipan arrived. Cows rest in the shade of tangan tangan trees, known in Hawaii as haole koa. 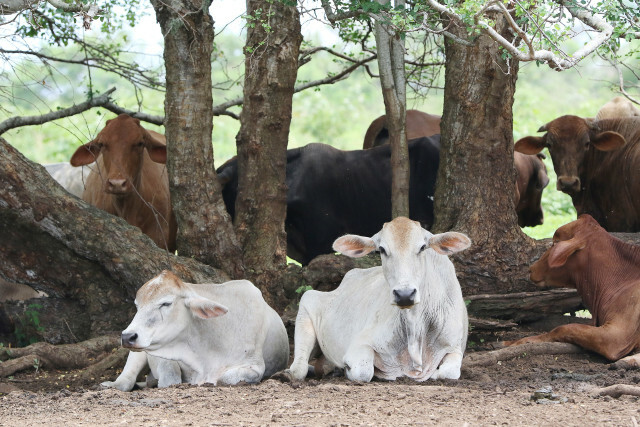 Ranchers on Tinian are worried about how proposed live-fire training will affect their herds. 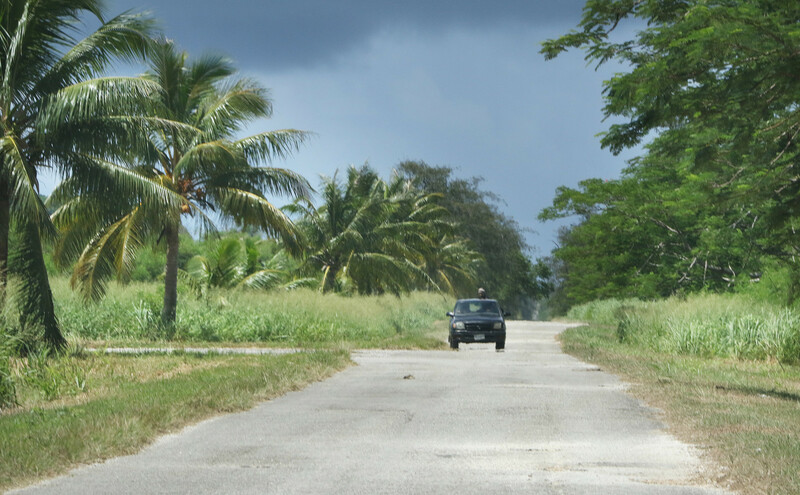 Nearly all of the island’s farmland is within the military’s leased area. The lease was signed anyway, as part of a deal that the Northern Mariana Islands made so that its residents could obtain U.S. citizenship. The U.S. paid $17.5 million to use the land for 50 years, with the option to extend the lease for another 50 years. The U.S. also got a similar lease for Farallon de Medinilla, an uninhabited island, for bombing practice, at a much lower price of $20,600. Even though he disagreed with the final decision, Cing understood. David Mendiola Cing is a former senator who opposed giving up two-thirds of Tinian in the 1970s. An official agreement with the U.S. outlines some of what Tinian residents expected: emergency medical care on base and access to the base’s movie theater. But none of that ever materialized. Instead, much of the military lease land is set aside for cattle grazing. The island’s main village is called San Jose, named after a beige church that’s frequented by the highly Catholic community. The roads are wide and traffic is close to nonexistent. There are no stoplights, and just a handful of mom-and-pop stores and restaurants. Tinian looks like a green carpet from the sky with lots of farmland and relatively little development. But this land on either side of Broadway heading north is leased by the military and may be used for live-fire training. The island in the distance is Saipan. Buildings and homes are often built with concrete to withstand frequent typhoons. Some have tin roofs. The roads are named after New York streets, like 8th Avenue and Broadway, but couldn’t be more different. Broadway shrinks to a single lane heading north, lined with farmland and trees, and often you’re more likely to see a cow than another car. There is still no movie theater on the island. Its hospital has only five beds and limited care. 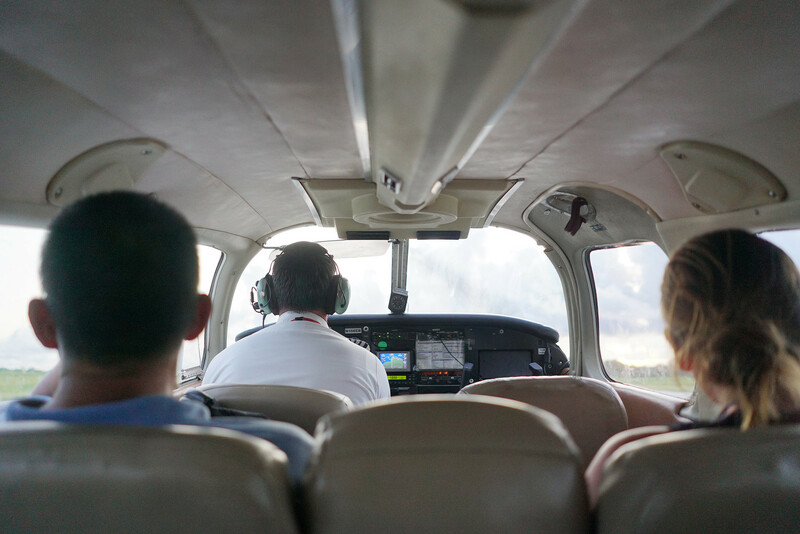 It’s common for residents who are sick to pay $70 for a round-trip flight to Saipan, just 12 minutes away on a propeller plane. There aren’t any chain stores or fast food restaurants on Tinian. 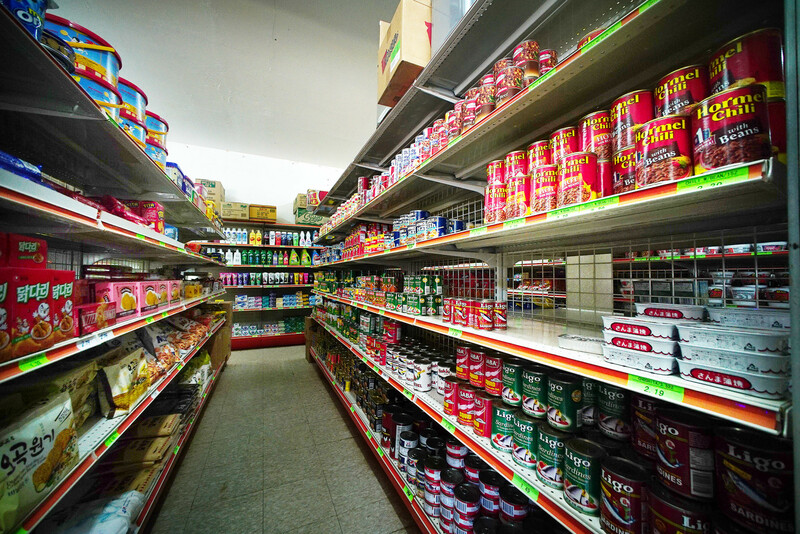 This mom-and-pop grocery store sells an assortment of household goods and lots of canned food. For years, parents sent their children to neighboring islands for high school. The public high school on Tinian didn’t graduate its first class until 1991. The standard of living on the island is comparable to the poorest towns in America. In the 2010 census, every resident fell below the poverty line, and the median household income was $24,470. “Tinian was the sacrificial lamb for the commonwealth, for all of us to become U.S. citizens,” says Cing. After the vote to give up two-thirds of Tinian and join the U.S., Cing went to Hawaii for college. He graduated in 1980 and returned to Tinian where he served as a senator for more than a decade. A lone truck travels on a coral road built in the 1940s on Tinian. Still, looking back, he’s grateful for what becoming a U.S. citizen has meant to his family. “There’s not much employment (on Tinian) but at least our youngsters that graduate from high school, they can join the military so they have jobs,” he says. All three of his children joined the Army. The Tinian Dynasty is a grandiose hotel and casino, with 2,000 rooms, that dwarfs any other building on the island. The island’s economy has struggled for a long time, but it’s been even worse since the Dynasty’s owners was fined a record $75 million for violating federal laws, leaving employees unpaid and a ghost of a resort across from the island’s most popular beach. It’s a sign of how hard it’s been for Tinian to sustain a tourism economy. 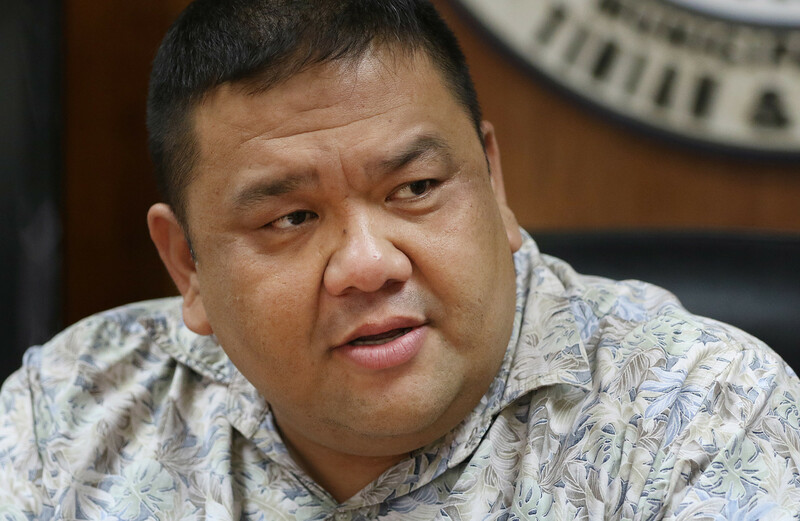 Cing says that as a senator, he pushed for casino gambling to be legalized after it became clear that the military wasn’t interested in actually building a base. 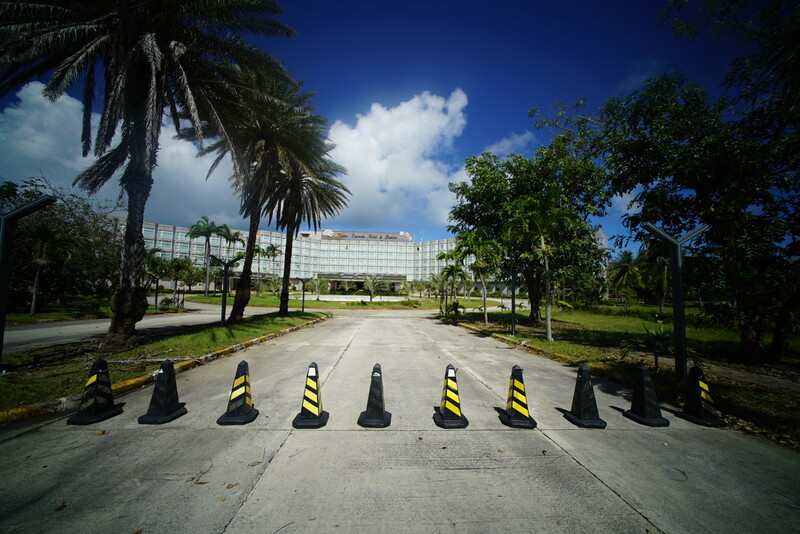 The road to the Tinian Dynasty on Tinian is blocked off after owners declared bankruptcy and shut down the hotel and casino. Despite the shutdown of the Dynasty, other Chinese investors are seeking to build casinos. Macau-based Alter City Group received a license to build a $1.2 billion casino near the island’s only airport, and Bridge Investment Group is planning a $150 million casino near Tinian’s dock. Alter City Group has raised concerns about whether casino investment is compatible with military training plans. But even if those proposals were shelved, local tour guides and service workers at shops and restaurants say they are worried tourists won’t come to Tinian if it resembles a war zone. There’s also a question about whether the islands will be able to continue to rely upon visa waiver programs to attract Russian and Chinese tourists. After the commonwealth’s Japanese visitor industry crashed, the government has been relying on tourists from cities like Vladivostok and Beijing. Navy plans to increase the number of air operations by more than 1,800 percent, adding 8,768 air operations annually, also make many residents fear that their ability to travel to other islands will be hurt. The island’s ferry went out of business years ago, and flying in tiny propeller planes over North Field toward Saipan at a cost of $70 roundtrip is the only option for many residents who want to visit relatives or seek medical care. But the length of the 12-minute flight and its price could escalate if pilots are forced to change their routes or limit their availability. A Star Marianas propeller plane fits seven passengers who are weighed before the flight. The planes don’t fly at night or if there’s poor visibility. Loud noises from training are expected to disturb residents in their homes, even at night, and fishermen are worried they won’t be able to fish in nearshore waters when exercises are in progress. In its draft environmental analysis, the Navy concluded the plans would not raise environmental justice concerns because all residents will be affected equally. The EPA says that’s not the right way to analyze that issue, and also questioned how hazardous waste would be stored and disposed of. Joey San Nicolas is an attorney and is the mayor of Tinian. He emphasizes that he doesn’t oppose the military’s presence, and understands that it has a right to train on the land it’s leasing. "What we basically export is the beauty of the island so if you destroy it with live-fire training then you're having a negative impact on tourism." Tinian Mayor Joey San Nicolas says he supports a military base on Tinian but not live-fire training ranges that would hurt the island's environment and economy. But he hopes that the military takes into account the potential to destroy the island’s environment, economy and peaceful way of life. Growing up on Tinian, he remembers hearing unexploded ordnance detonating in northern Tinian and feeling the vibrations even though he was on the south side of the island. “Whatever happens up there will be felt down here,” he says. David Cing’s son, Vincent, is 29 now. On a recent afternoon, he grabbed lunch with his coworkers at JC Café, one of the few restaurants on the island. The restaurant is strangely decorated, with fuschia walls and Christmas lights, but it’s a common meet-up spot for locals. Its blasting air conditioning makes it a welcome escape from the tropical heat. Cing is now working in construction, having moved back to Tinian a couple of years ago after getting medically discharged from the Army. He was in the service for 10 years and wouldn’t have left if he had a choice. 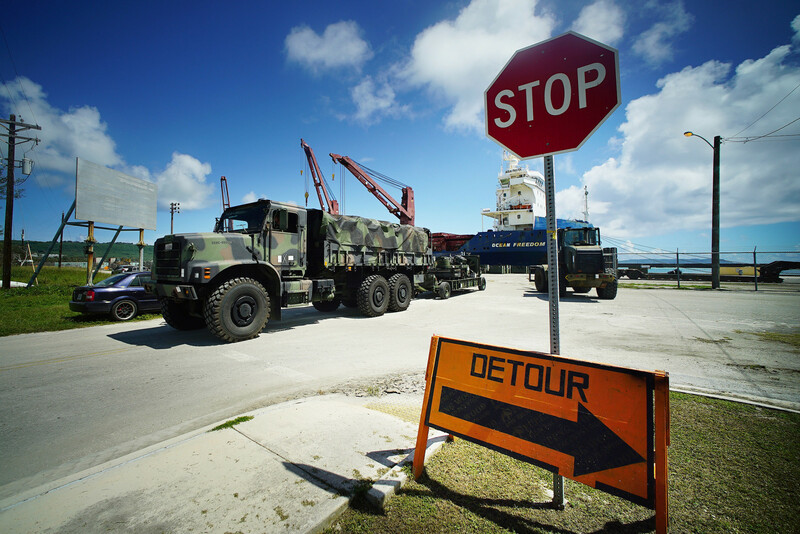 A U.S. military truck drives away from the Port of Tinian on its way to the military lease land in the northern half of the island. 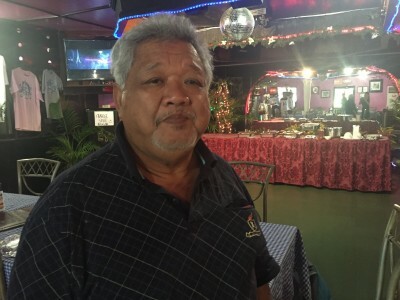 Despite his patriotism, he’s very worried about the military’s plans for Tinian, particularly how the training might prevent planes from flying their usual inter-island routes and boats from fishing near shore. If the cost of a plane ticket were to jump to $100, that would be more than what he makes in a day, he says. He also spearfishes for food, catching mahi mahi and wahoo, and is concerned about not being able to do that at certain beaches or during the months that training is ongoing. Cing is also concerned about how some military service members might treat local people, especially women, and the environment. When he was stationed in Hawaii, he saw other servicemen killing more fish than necessary when they were spearfishing. A Tinian sunset while flying in between Saipan and Tinian. The flight only takes about 12 minutes but that could change with new military training operations. He hopes that the buildup will help the island’s economy but says the training could hurt the ecosystem that locals rely on for food. Can These Islands Survive America’s Military Pivot To Asia?